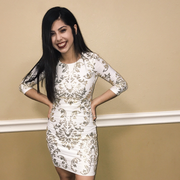 My name is Angelica, and I am currently a Junior at the University of Houston. I am the second oldest of four. Some hobbies of mine include reading, playing volleyball with friends, and drawing. I love the subject math, and would be eager to help with homework. I do have experience tutoring as I was a tutor for bilingual third grader with Relay Tutor Corps. I do have a couple years of experience, as I love being able to watch after kids. I have experience of babysitting from ages 4 and up. I love being able to watch over kids while having a good time. I will abide by any rules given, and will even be willing to help tidy up. I also have a texas drivers license and a clean driving record, so I would be willing to help with rides or carpooling if necessary.